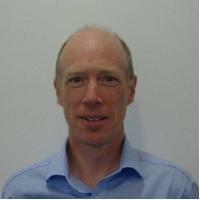 Jim McGonigal is a senior surveyor working for the Building Standards Division of The Scottish Government. Jim graduated from Glasgow Caledonian University with a Bachelor’s Degree (First Class) in Fire Risk Engineering. He is currently studying towards a Doctorate of Philosophy (PhD) in Fire Engineering. Jim worked with WSP | Parsons Brinckerhoff, leading their Edinburgh team. He has worked on national and international fire engineering projects, using a wide range of international building codes. His current role is to provide fire engineering expertise and advice on particular fire issues and to write guidance documents in support of the building legislation and procedures that underpin the building standards system. Jim provides advice to Scottish Ministers on fire safety issues, including research and legislation. In addition, he represents the Scottish Government on various British Standards Institution (BSI) Technical Committees and provides support and responses to other Government departments, designers, local authorities and the general public on policy and technical issues. He has delivered various presentations on fire engineering and the building standards system to the fire safety community including fire engineers, the fire service, the business community and local authorities.